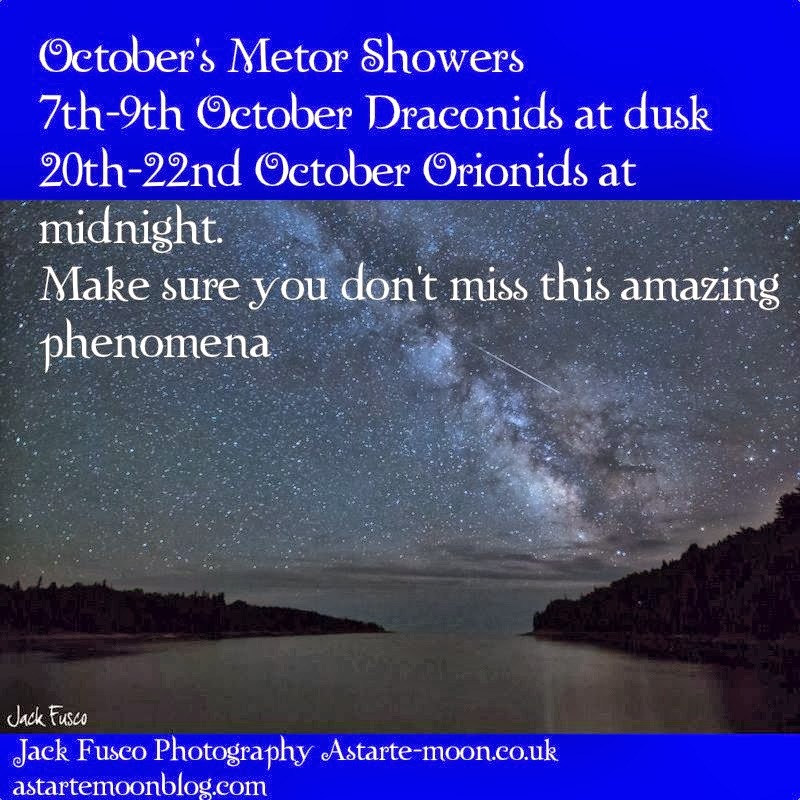 We are blessed with two meteor showers this October. These amazing spectacles have long been revered and admired by mankind. Lying on the ground, connecting with mother earth and watching these incredible shooting stars can be a very spiritual experience, reminding us of the amazing world that we are privileged to be a part of. Gazing at the stars can be an incredibly deep and spiritual experience, but when this is combined with a meteor shower it really takes star gazing to the next level! Loose yourself in the wonder of our cosmos, drinking in the powerful display that is happening right before your very eyes! These meteors will be visible from 7th- 9th October with the best night predicted to be the 7th October. 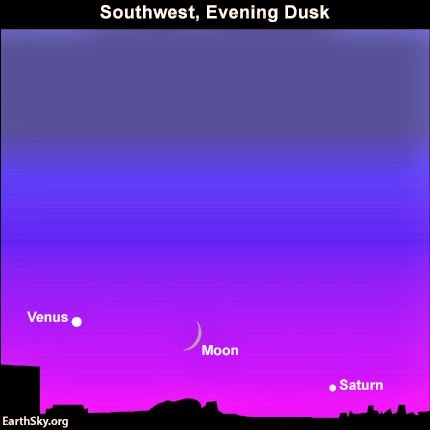 We have a very small waxing crescent moon so the light will not interfere with the view of the meteors as sometimes happens when we have a full moon. The moon actually sets at sunset along with the planets so you can watch out for that as it goes dark. 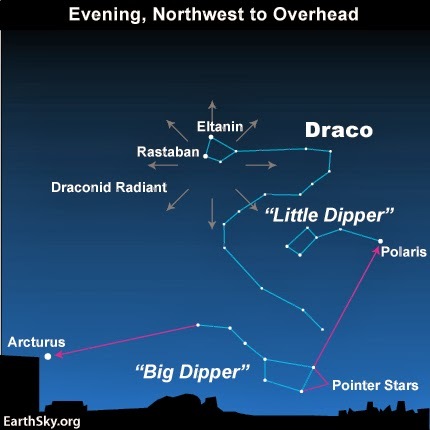 The best time to watch for the Draconids meteor shower is at dusk. The Draconids are not the most prolific of meteor showers so you have to look carefully but they will still be an amazing site. For me it is a bonus that they occur at nightfall rather than having to wait until past midnight which is the prime viewing time for many meteor showers. "The Draconid meteor shower produced awesome meteor displays in 1933 and 1946, with thousands of meteors per hour seen in those years. Even two years ago – in October 2011 – people around the globe saw an elevated number of Draconid meteors, despite a bright moon that night. European observers saw over 600 meteors per hour in 2011. As far as we know, nobody is calling for the Draconid meteor shower to burst into storm in 2013. But you never know for sure with the Draconids, so it’s worth watching out for on the moonless evenings of October 7 and 8. Just keep in mind that meteor showers are notorious for defying predictions, either surpassing or falling shy of expectation. The only way to know for sure is to try to watch the shower. Perhaps Draconid meteor rates will go up this year. Or we might see only a handful of meteors per hour. Under normal conditions, when astronomers speak of a meteor shower peaking, it is similar to a weather forecaster saying, “The heaviest rain/snow is predicted for such-and-such hour.” In other words, the prediction might not be precise, since nature is always unpredictable to a degree. But, generally speaking, the rate of meteors falling will be higher during the peak of a meteor shower than on any other night." The second meteor shower in October will be the Orionids that will be at their peak from 20th-22nd October 2013. Unlike the Draconids this time we will have the problem that the Orionid meteor shower is taking place at the same time as October's full moon, the Hunter's moon. Our moon is full a few days before the meteor shower so will still be fairly full and bright at the time of the Orionids, thus viewing the meteors will be a little more difficult. These are the tips from earth sky.org regarding the best opportunity for viewing these spectacular meters. 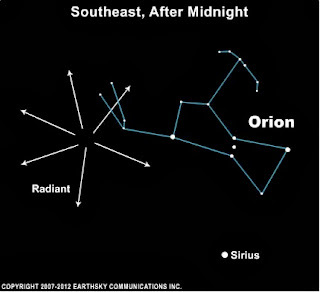 "The radiant point for the Orionids is in the northern part of Orion, near Orion’s club. Many see the Hunter as a large rectangle. You’ll surely notice its distinctive row of three medium-bright stars in the middle: those stars represent Orion’s Belt. The brightest star in the sky, Sirius, is to the southwest of Orion on the sky’s dome, and the Belt stars always point to Sirius. This constellation is up in the southeast in the hours after midnight and it’s high in the south before dawn. We will have much more to say about Orion in the months to come, because it’s one of winter’s most prominent constellations. The best time for viewing for these fast-streaking Orionid meteors will be between midnight (1 a.m. daylight time) and dawn on the mornings of October 20, 21 and 22, 2013. That time holds true no matter what time zone you’re in. If you’re in Asia, you might want to lean a bit toward the morning of October 22. In 2013, you can’t expect to see much because bright moonlight will interfere. But you might, indeed, see a very bright meteor streaking along in bright moonlight"
The map of the sky above shows the radiant point of the Orionids. Fortunately the constellation of Orion with it's recognisable 'Orion's belt' is easy to spot so it shouldn't be hard to work out which part of the sky you should be concentrating on for your meteor viewing. Do let me know how your meteor viewing goes, I would love to hear from you. 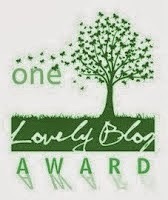 Happy viewing to everybody. May the meteors shower you with love and endless possibilities.